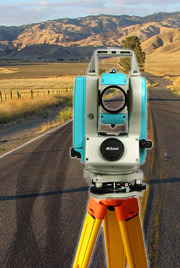 All Crashteams partners are equipped with state-of-the-art surveying equipment which allows them to map the scene with a total station and create a precise (to the mm) 3D model of the scene. Crashteams partners download directly from their total stations to the latest forensic mapping software which auto generates the scene model. For Point Cloud scans please contact Crashteams PNW. By taking precision measurements of the damaged vehicles which also become usable 3D models for the analysis in the future. These models can also tell us the velocity changes, magnitude of the impacts and other important information for the total understanding of the crash. All Crashteams partners are trained in crush measuring techniques and digital photography. The real car may be destroyed or repaired, but its information and 3D replica will survive forever in a secure Crashteams electronic format.